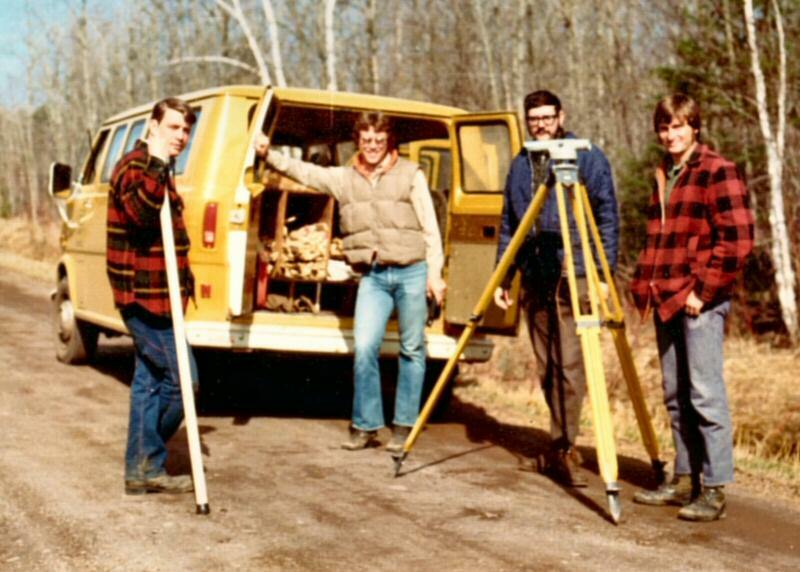 On a survey crew - somewhere North of Duluth, 197? 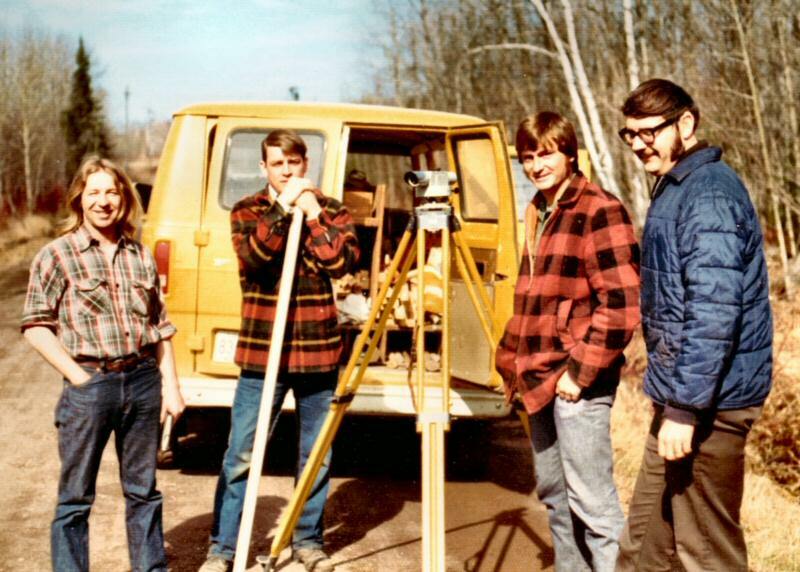 I started working in the St. Louis County Public Works office in Duluth Minnesota in June of 1971. These two photos were taken somewhere North of Duluth in the fall of 1975 or 1976 from what we can remember. As of this date, December,12, 2004, only Dennis, Tom and I still work for County. Jim and Bob retired over the last year and I wish them a long and happy retirement. Tom has been with the county longer than I have and Dennis started just after me. Dennis, Tom, me, and Jim.